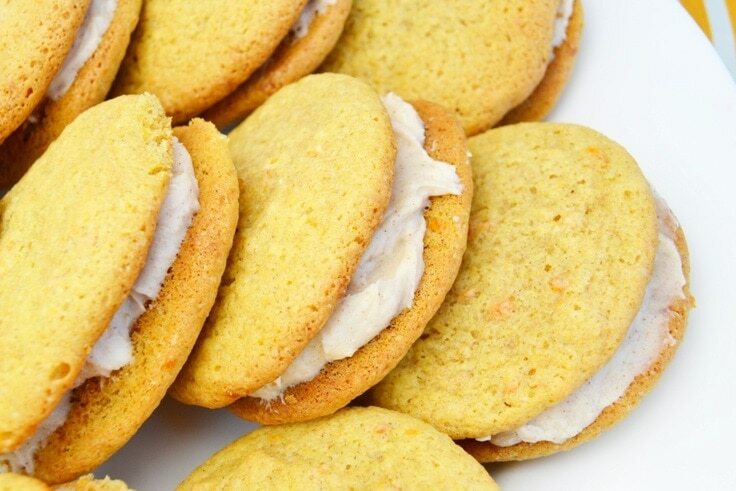 This carrot cake cookie recipe is a mash-up of carrot cake and cookies. 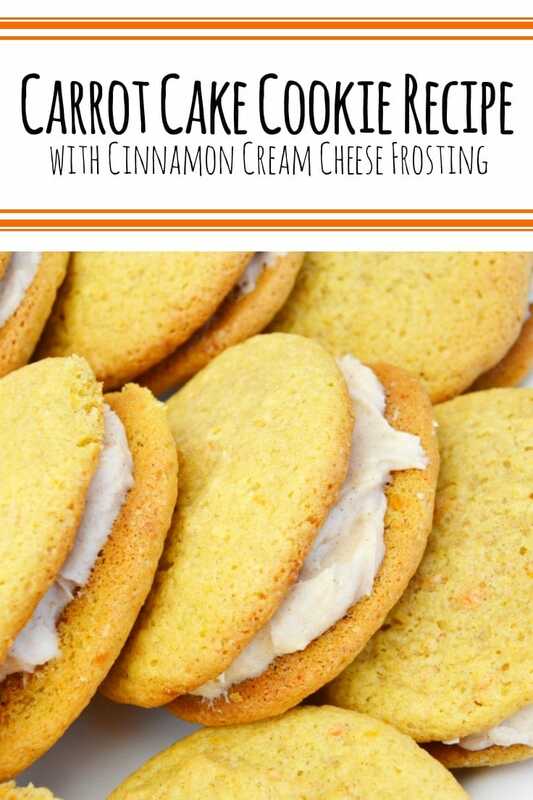 You and your family will enjoy making delicious, fluffy carrot cake cookies with cinnamon cream cheese frosting in the middle. Hey y’all, it’s Cat from Mary Martha Mama. 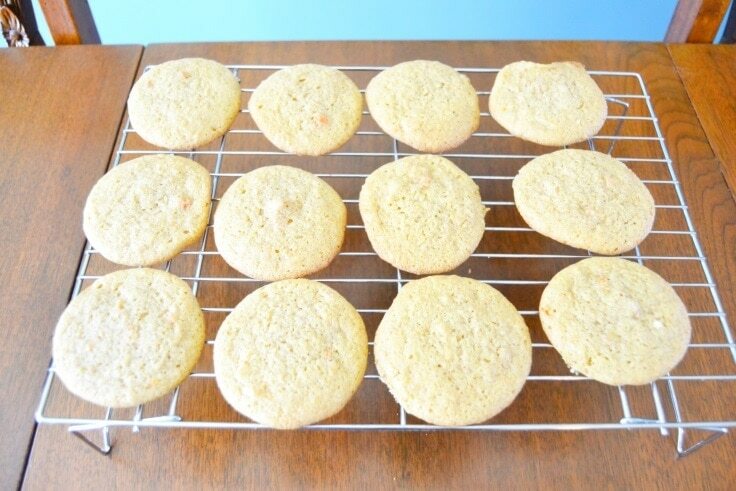 Today I’m going to share the ultimate carrot cake cookie recipe with you all. 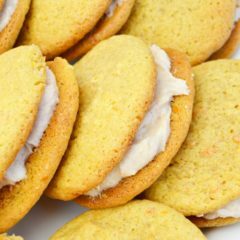 These carrot cake cookies are really like little carrot cake whoopie pies, inspired by a favorite treat of ours from Disney World. If you’ve never had a whoopie pie before it’s like a little mini cake but in cookie form with frosting in the middle of two cookies. Traditionally whoopie pies are chocolate with white frosting in the middle but there are so many different flavors now. 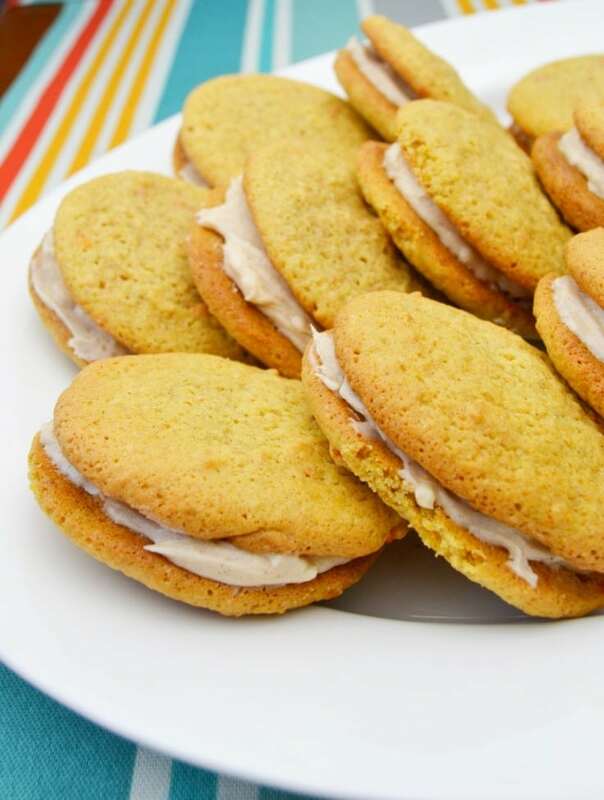 This carrot cake cookie recipe would be the perfect addition to your Easter dinner or any other springtime meal. Preheat the oven to 350 degrees Fahrenheit. 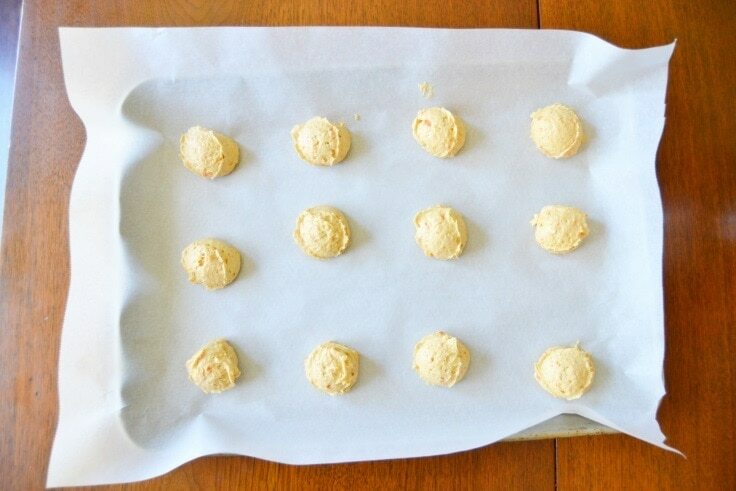 Line your baking sheets with the parchment paper. 2. Mix the cookie ingredients. 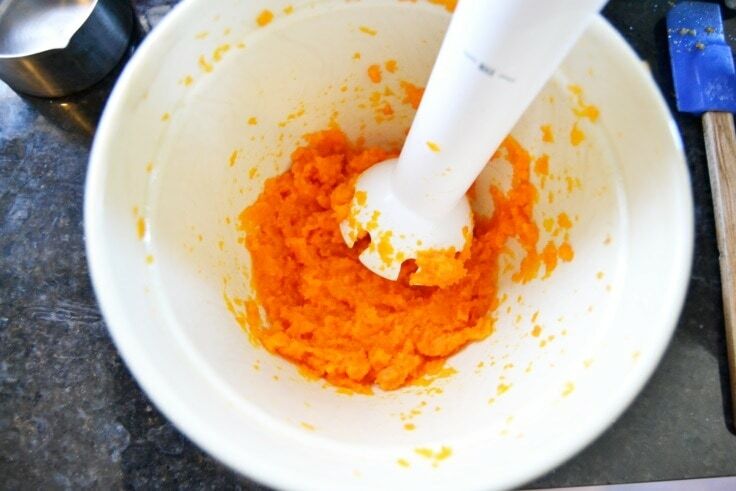 To make carrot puree just steam some carrots and then puree them using a blender or mash them up really well. Mix the flour, baking powder, baking soda, cinnamon, and salt in a bowl. Beat the sugar and butter in your stand mixer. After beating for 2 minutes add in the eggs, one at a time. Then add in the carrot puree and the vanilla extract. Beat the entire mixture until it’s smooth. Then stir in the flour mixture until everything is combined well. 3. Bake the carrot cake cookies. Use the cookie scoop or a tablespoon to drop the cookies onto the lined baking pans. You should have about 36 cookies from the mixture. You’ll have 18 total cookies when you’re done because each finished cookie sandwich needs 2 cookies – one for the top and one for the bottom. Bake the cookies for 13-15 minutes. 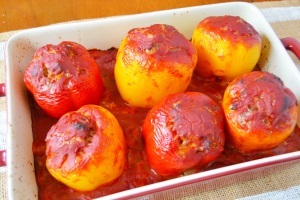 Let them cool on the baking pans for 5 minutes then move them to wire cooling racks to finish cooling completely. 4. Mix the frosting ingredients. Beat the cream cheese, butter, vanilla extract, and cinnamon in your mixer until it’s fluffy then gradually beat in the powdered sugar. 5. 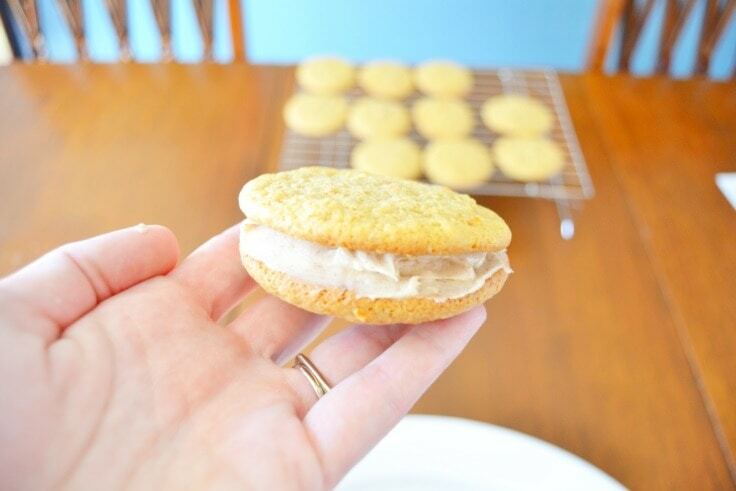 Make carrot cake cookie sandwiches. 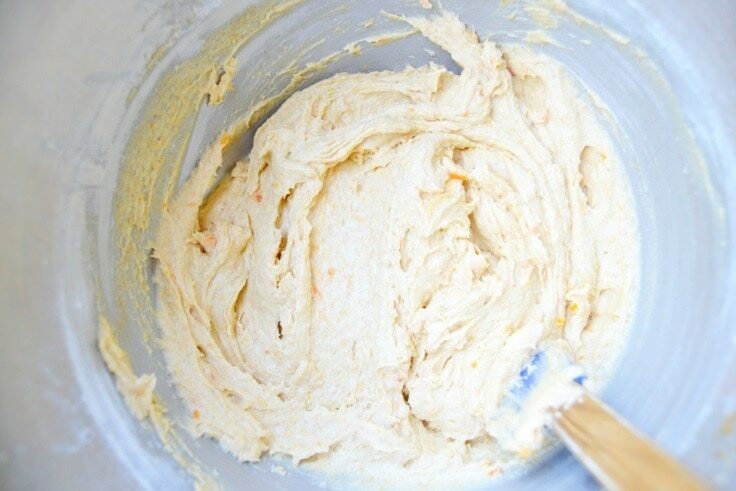 Spread about a tablespoon of frosting onto the flat side of one of the carrot cake cookies. 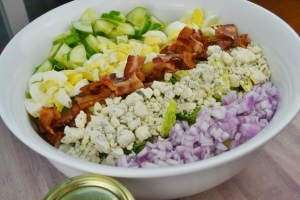 Then top it with another cookie to make a sandwich. Repeat until all of your cookies are done. Bake the carrot cake cookies. If you enjoyed this carrot cake cookie recipe then you’ll enjoy these other recipes from Mary Martha Mama too. 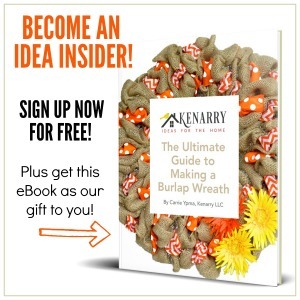 Cat has been part of the Creative Team on Ideas for the Home by Kenarry™ since October 2018. Follow Cat on Facebook, Pinterest, Instagram and Twitter. When you say “some carrots”, how much is some? 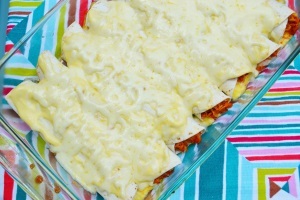 Hi Ellen, for this recipe you need 1 cup of carrot puree. As a general rule of thumb, it will take about 1 cup of raw carrots to make approximately 1 cup of puree.